Marie Nagel is a painter, working mostly in acrylics, living in Victoria, B.C. In 2008, she re-located to Vancouver Island from the central interior of the province where she operated Marie Nagel Gallery in Wells for 17 years. Most of Marie’s work is semi-abstract based on the landscape, still life subjects or other commonplace objects. 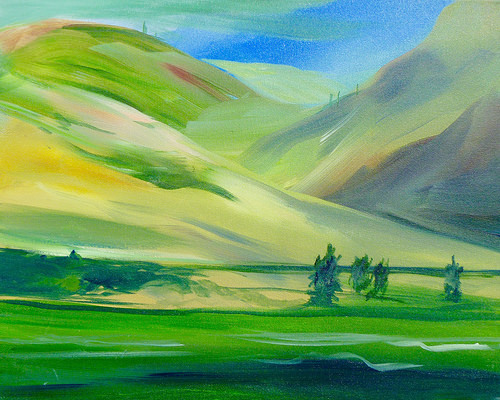 Her work is characterized by strong, bold brush strokes, and vivid use of colour.